The purpose of a sales forecasting plan is to allocate company resources with an objective to achieve anticipated sales. An organization can forecast sales either by forecasting market level sales (market forecasting) and determining what share of this will accrue to the company, or by forecasting the organization’s sales directly. Sales forecasting is actually the art and science of predicting the future demands by anticipating how consumers are likely to behave in a given set of circumstances. A company might ask ‘what will be the demand if real incomes increase by 10% or how would the demand be impacted if a competitor launches a similar product. Other functions in organization – production, purchasing, finance, HR plans – are also affected by the sales forecast. 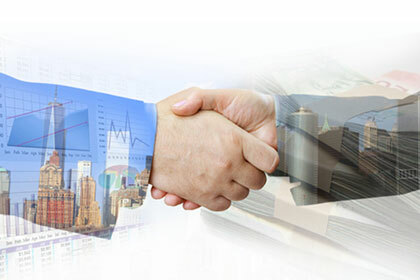 One of the best methods of sales forecasting is to consider recent past sales of the company. As the business environment does not change all of a sudden, the sales figures of the last quarter help management know the kind of sales they can expect in the coming months. When applied quantitatively, this is known as the Time Series approach to forecasting sales. Different components of Time Series Analysis are Seasonal Analysis, Trend Analysis, Cycle Analysis, and Random Factor Analysis. Usually all of these components are applied to the analysis and computations. Using market research data is another quantitative method of sales forecasting. The technique involves directly asking people what they intend to do in the future. A number of large market research firms continually gather such information. They may ask consumers questions like “do you intend to purchase a tablet in the next month/3 months/6 months/year, or later?” Such firms may also conduct research upon salary ranges and if the consumers expect to be better off or worse off in future. The results of these surveys allow businesses to predict sales patterns across a wide variety of consumer durable goods. Sale forecasting techniques can also be qualitative. Some organizations use the Delphi Technique for forecasting sales. A “delphi” starts with development of a questionnaire focusing on the problem. A panel of experts is chosen and the questionnaire is sent to them. Each participant answers the questionnaire independently and returns it. Responses to the questionnaire are summarized and a further questionnaire is developed, based on the findings of first questionnaire. The revised questionnaire is sent to the same panel of experts. The members of expert panel independently rate and prioritize ideas included in the second questionnaire. The process is repeated until those who are investigating the issue feel firm positions in the expert group and agreement on a topic is reached. The budget for production and sales is planned as per expert group’s responses and ideas. Another qualitative method of sales forecasting is Brainstorming, a group technique used to generate new, useful ideas and promote creative thinking. Brainstorming is most effective with groups of 6-12 people and works best with a varied group. So within an organization, a brainstorming session should include participants from different departments and from different backgrounds. RepHunter helps companies to find sales representation or offers our sales rep recruiting services, as well as providing sales leads to independent reps seeking new lines. These reps not only make it possible for companies to expand their market reach and increase revenue, but also help to provide input for the prediction of sales for your business. Experienced sales reps understand the realities of the market and help businesses to become aware of those conditions, especially as it affects their customers. In particular they can provide the type of market intelligence necessary to the market research described above for surveys or a delphi. With more control over your sales profile, it becomes easier to improve your visibility, revise and upgrade your product lines or target markets, and make other changes in business plans without delay. Call us toll free at 877-895-2909 to find how RepHunter can help you with your business sales.